Black Appetite. White Food. 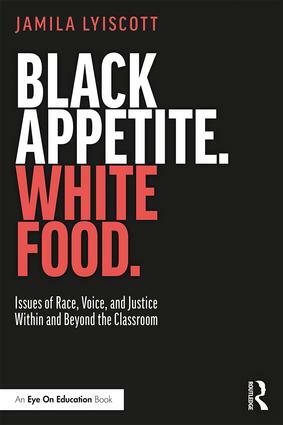 invites educators to explore the nuanced manifestations of white privilege as it exists within and beyond the classroom. Renowned speaker and author Jamila Lyiscott provides ideas and tools that teachers, school leaders, and professors can use for awareness, inspiration, and action around racial injustice and inequity. Part I of the book helps you ask the hard questions, such as whether your pedagogy is more aligned with colonialism than you realize and whether you are really giving students of color a voice. Part II offers a variety of helpful strategies for analysis and reflection. Each chapter includes personal stories, frank discussions of the barriers you may face, and practical ideas that will guide you as you work to confront privilege in your classroom, campus, and beyond. Jamila Lyiscott is a social justice education scholar, nationally acclaimed speaker, spoken word artist, and educational consultant. She serves as an assistant professor of Social Justice Education at the University of Massachusetts Amherst, where she is the co-founder and director of the Center of Racial Justice and Youth Engaged Research. She also holds an appointment as Senior Research Fellow within Teachers College, Columbia University’s Institute for Urban and Minority Education.